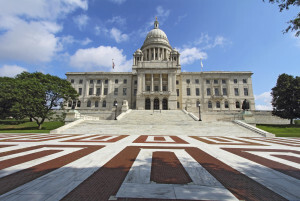 A bill creating two levels of collision repairers and requiring the top tier to have OEM steel and aluminum certification has passed the Rhode Island Senate and seems likely to become law. Senate Bill 783 cleared the Senate 37-0 early Tuesday evening, with state Sen. Michael McCaffrey, a Democrat, not voting. The companion House Bill 5491, passed the House 73-0 on June 9 with Rep. Aaron Regunberg, a Democrat, not voting. The House is scheduled Thursday to vote on the Senate’s version of the bill, which contains a couple of tweaks but is for all intents and purposes identical. It’s doubtful that the outcome would be any different from the June 9 edition, which means the bill should be heading to Democratic Gov. Gina Raimondo soon. The bills divide the shops into a “Class A” and lesser “Class B” — and requires insurers to survey labor rates for both levels for a prevailing amount. That research can’t include subrogated rates or mix and match the different classes’ rates. The auto insurers would have to explain the formulas behind both studies, as they are required to do now for their survey of the general collision repair labor pool. However, the bill states the insurers wouldn’t be held to those surveys for the rates they pay. 2. Prove their staff is certified with the minimum technician requirements determined by the Division of Commercial Licensing and Regulation’s auto body advisory board. These requirements already exist, and both classes of shops would still have to comply with them under the new bill; however, it appears that Class A shops would have to prove it. The Providence Journal described the Rhode Island Statehouse as a perpetual battlefield for insurers and auto body shops, and insurers have attacked the House version of the bill passed Tuesday. We found the argument a little shaky. Customers that manage to tell the difference between First Class and coach, Starbucks and break room coffee — and State Farm versus insurance of last resort — will be able to understand the distinction here. As for their insurers having to make good on a policy by paying for the best service available, we doubt customers will lose much sleep over it. And as for insurers paying more for the same service — well, perhaps Nos. 2-4 GEICO, Allstate and Progressive shareholders should consider cutting their CEOs’ pay down to whatever the second-, third- and fourth-to-last insurers’ CEO get. It’s all just running an insurance company, right? The competition angle might have a little more merit if it puts too much of a bureaucratic burden on top shops to qualify as such in the eyes of Rhode Island. However, in situations where the shops are all charging the same amount to fix your Honda Civic — whether by owner preference or insurers refusing to pay above a certain amount — the tiers should allow customers to compare competitors on a more honest apples-to-apples basis: A-level shops to A-level shops, Bs to Bs, and As to Bs when all are charging roughly the same rate. Also, with cars, trucks and SUVs shifting towards more advanced materials, it might be vital for customers to know a shop understands what to do and not do with aluminum and ultra-high-strength steel via an A rating. Corrections: An earlier version of this story indicated the bill had been sent to Gov. Gina Raimondo. The bill had to be passed once more in the House to sync it with the Senate version, which is virtually identical to the House, and then again in the Senate. It’s since done so. The story has been corrected to reflect the change.